The St. John HEYMAN Stroke Center is dedicated to providing comprehensive care for stroke patients and continued support for their families. When treating a stroke, every moment counts. The faster a proper evaluation is conducted, the greater a patient's chances for recovery. Here at the St. John Heyman Stroke Center, we are prepared to act quickly. 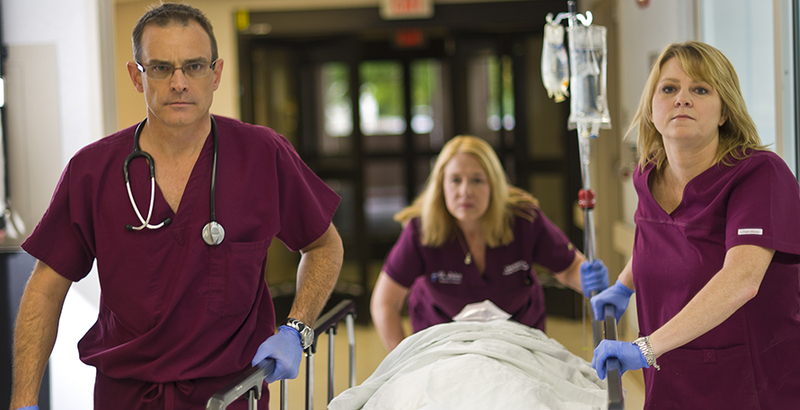 We stand ready 24 hours a day, seven days a week to provide acute stroke patients the exceptional care they deserve. As the first Joint Commission-certified Comprehensive Stroke Center in eastern Oklahoma, St. John has a proven record of excellence in stroke treatment. The St. John Heyman Stroke Center has been recognized by the American Heart Association and American Stroke Association for quality care for stroke patients three years in a row. The center focuses on the three most important aspects of stroke care: treatment, prevention and education. We invite you to learn more about our services. For more information about the St. John Heyman Stroke Center or stroke education classes, please call the PulseLine at 918-744-0123.